Legend has it that in the forests of Galicia from twelve o’clock at night it is possible to find a parade of souls in pain called the Holy Company. Many claim that they usually go through the deepest forests of Galicia, where the fog is thickest and where rural villages with stone houses are found. You have to be very careful and protect yourself from the Santa Compaña, because the souls walk every night dressed in black robes with the purpose of visiting or warning all those houses where there will soon be a death. In addition, the procession is always headed by a living person who carries the Cross and a Cauldron of Holy Water, followed by all the souls wrapped in shrouds. It is said that if one is in front of the leader of the parade, the relay of the Cross will pass and you will be condemned to lead the procession until you meet another one alive. Of course, there are methods to get rid of this sentence. One can make the shape of the cross with his own body and lying on the ground or if not, draw a circle around oneself and be thus protected. 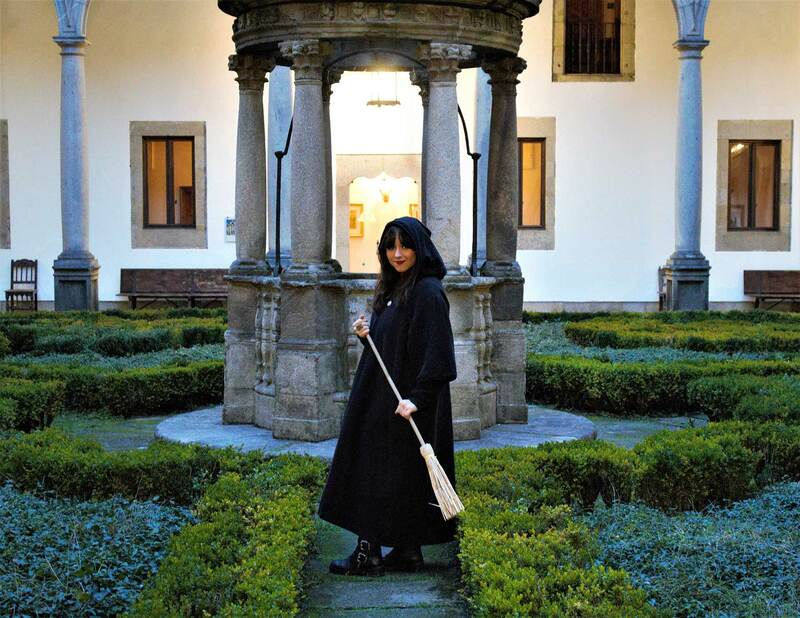 In the city of Santiago, there are many more stories that have to do with this legend, so we invite you to meet Meiga Volanderia, an expert in these stories that will help you get to know a much more magical Galicia.